As I mentioned in my previous post about Vitoria, every month my commute to and from work takes me between North Carolina and off-shore Brazil. On my way to work I get one over night in the coastal city of Vitoria. 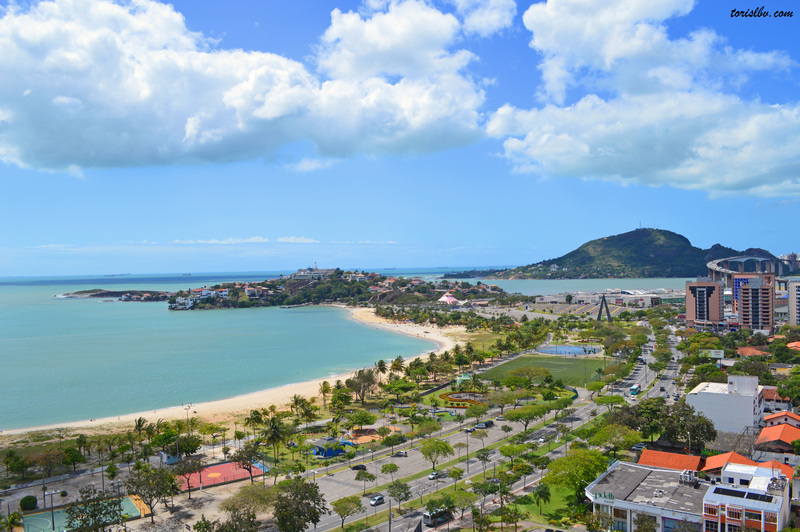 As soon as we get to the hotel I throw on shorts and flips-flops then head across the street to Curva da Jurema Beach. 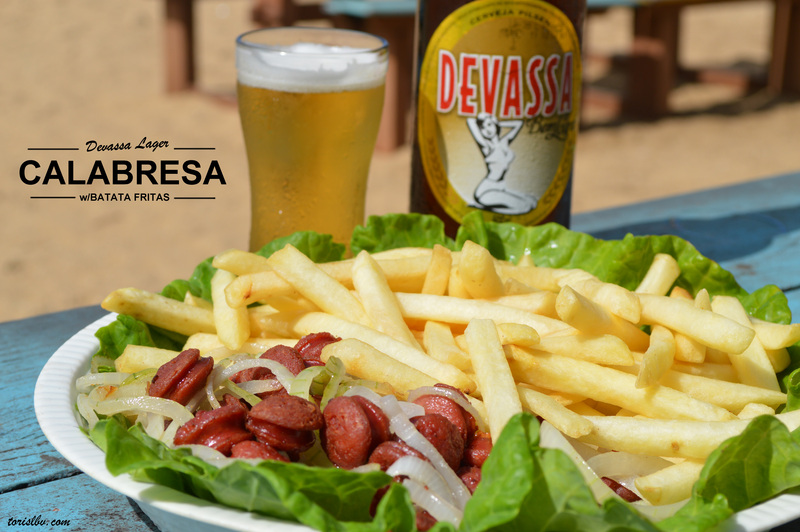 It is usually pretty dead in the middle of the day when I go and thats fine because some Calabresa, Batata Frita, headphones and cold beer is all the day requires. When coming to Brazil I initially was drinking the heavily advertised top sellers like Skol and Brahma. Although they both taste like mule urine, I believe the novelty of being in a new country, drinking the local beer and blazing heat, helped make them taste better. This is no knock on Brazilian beer in general because Americas top sellers (the Bud Light, Miller Light and Coors Light) could give the Brazilian ones a run for their money in the watered down poor taste department. Large beer makers simply give the masses what they want, or run enough commercials to convince us of what we want. 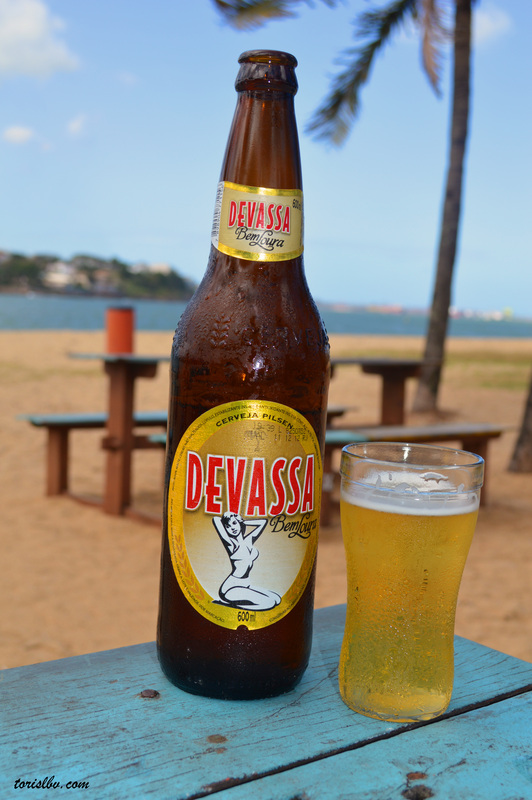 My “go to” beer in Brazil now is Devassa Bem Loura. Its light as well but seems to have a crisper taste and more flavor than Skol and Brahma. It started out as a microbrew from Rio de Janeiro and was bought by brewing giant Schincariol in 2007. They also sell a nice dark ale that I have found in one bar in Brazil so far. Devassa does not translate directly to anything in english but I have found out that it implies a woman that engages in promiscuous behavior.